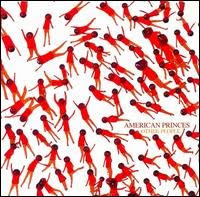 American Princes are a band who did the complete opposite of most bands trying to make it and moved from New York to Little Rock, Arkansas to focus on their music. It pays off as their third full-length album, Other People, is a pretty solid album. At first listen a few songs caught my ear but I dismissed it as a pretty standard rock album. After coming back to it a few times it has really grown on me. These guys are pretty outstanding songwriters and can switch up styles and genre's from song to song. The whole thing is pretty darn catchy and the whole three guitarists usually does it for me as well. They just played a show in KC earlier this month but I hadn't really checked out the album enough yet to want to go...I'm sure I'll regret it. You can check out the first song on the album, Auditorium, below and Other People, is out now on Yup Roc Records. 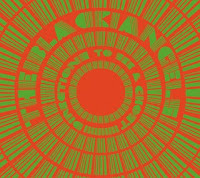 The Black Angels didn't necessarily switch things up for their sophomore release Directions To See A Ghost, but that's definitely not a bad thing. If you were a fan of the Austin band's debut album Passover then you'll certainly find something to like here as well. They made my Top 15 Best Shows of 2007 for their stellar concert with Vietnam at the Bottleneck and in 2006 they made my list with their show at the Bleeding Kansas Festival. They appear to be playing everywhere but KC/Lawrence for their current tour, but let's hope they make it back through very soon. Check out the track 'Doves' from Directions To See A Ghost which is out today on Light In The Attic Records.